There is nothing more demotivating and numbing than a large, unwieldy and obscure to-do list. It leads to more procrastination and certainly doesn’t invite you to be more effective and productive. How to transform your deteriorated to-do list back to a lean and mean next action list? It’s time for some serious pruning! Of course, a perfect GTD system would not allow your next action list to deteriorate into an amorphous list of undoable items. However, in my experience perfect GTD systems are few and far between! I would therefore recommend applying the 10 tips below for pruning your next action list at least once a week, preferably as part of your weekly review. Remember, a true, lean and mean next action list is much more likely to get you to crank widgets! Does each item on your next action list represent the very next, physical and concrete step you must take to make progress on a certain project? Resist the temptation to add more than one next action for each project. Keep the other actions in your project support material. Don’t break down each and every thing in your life into tiny actions. Tying your shoe laces doesn’t have to be on your list. At the other end of the spectrum, make sure an item on your list isn’t actually a multi-step action (i.e. project). Is the item on your next action list something you can and should do? Don’t add impossible items or actions somebody else should do (or could do better than you). Also make sure you really want to do the action (and the associated project). In your estimation, will you be able to finish each next action in no more than 20 minutes or so? If not, that might be an indication that you should break down certain items (or perhaps they really are projects after all). Your mind will subconsciously resist complex and long actions. Make sure each item on your next action list actually starts with an action verb. E.g. “call Jim re: proposal project X” instead of “project X: Jim’s thoughts?”. You want each item to evoke action. Also, limit your next action to a few words instead of complete sentences. You should be able to scan your next action list quickly. If applicable, add extra information to a notes field or even another list. 6. As soon as possible? Does each item represent an action that needs to be done as soon as possible? Or does your list also contain items that should be done on a certain day (put these in your calendar), or items that you might do in the future (put these in your tickler or on your someday/maybe list), or even items that represent interesting information (put these in your reference system)? Do you actually use contexts? Do you use them the way they should? Or does every item on your list end up in the same or random context category? Make sure you don’t have too many contexts and that they have “clean edges”. I discovered that some contexts have become less relevant to me because I work from home a lot and a computer is always at hand. Does each item refer to the project it belongs to (if any)? This will make it easier to scan and understand your list of next actions and will also make the process of reviewing and selecting the next next action easier. Remove finished items. Delete stale items. Rephrase unattractive items. Toss items you’re not going to do anyway. Move items to your projects and someday/maybe list. Keep your list clean, doable, attractive and short! Pruning your next action list could be a valuable part of your weekly (or daily!) 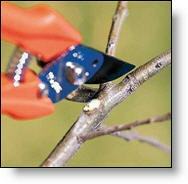 review, but it would be even better to prevent the necessity of pruning in the first place. Let’s be honest, your next action list would not deteriorate (at least not as fast) if you wouldn’t have one or more leaks in your GTD system. To read more about this, please see “How To: Fix Leaks In Your GTD System“. I totally agree that you shouldn’t break down too much. I was thinking about this just yesterday when placing a phone call – but I had to get up and go fetch the cordless from somewhere first. The important thing is that you should only make a task it’s own when it’s related to bringing your outcome forward. Fetching the phone is generic, I could’ve called anyone, it has nothing to do with the project. Calling Andy is not generic. While GTD helps us keep our minds free, we must remain intelligent about what we do, and not feel we’re so dumbass that we need to instruct ourselves about everything. It’s about reminders, not instruction manuals. Our brains are still working. I think you can leave the verb off the next action when it’s in the ‘At store’ context. No point putting the word ‘buy’ on the front of every item – it’s what you are there for. Only add a verb when it’s not ‘buy’ (eg ‘check price of…’ or ‘measure length of..’ etc). These are great tips, and have helped me troubleshoot my system a bit. Of particular impact on me, your line “Keep your list clean, doable, attractive and short!”. It’s amazing how much the cosmetic/aesthetic look and feel of your lists affects your willingness to DO. I’m not convinced that contexts need to be hard edged though. With a digital system, you can use tags for contexts and apply multiple tags to each task. F’r'instance, I have @online and @work and @home frequently overlapping. A task is more likely to get done if it’s one more than one list – but on the other hand you must avoid too much duplication or the contexts become useless. I don’t understand well the concept of next action lists. Is it also an “as soon as possible” list? If i have subdivided my next action lists into context, for example “the grocery store” and i have “buy bread” do i really need to do that? What if is not important? Doesn’t help much. I have quite a lot of items which I don’t do because they are inherently unattractive and renaming them won’t change anything. What’s your solution? Deleting them is not an option – I must do them sooner or later (preferably sooner…).